There are three types of Challenges. Gold, Brave and Hero. In each Challenge you can earn every day Gold, Spirit or Promotion Stones and Hero Shards. Idle Heroes Strategy Game Guide. There are three types of Challenges. Gold, Brave and Hero. In each Challenge you can earn every day Gold, Spirit or Promotion Stones and Hero Shards. 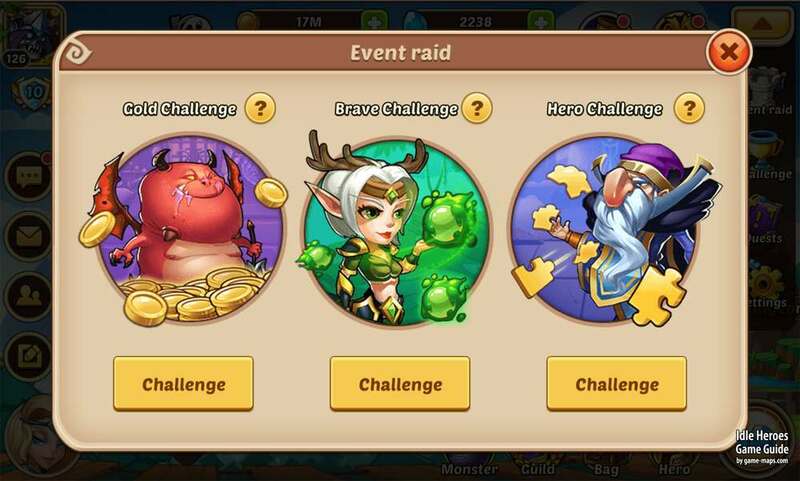 Hero Challenge is a good and easy way to acquire Hero Shards, sometimes it is even worth buying extra Challenges for Gems . Gold Challenge unlocks at level 20, win Gold as challenge rewards. Two free Challenge Times per day, only victory will be counted as one Challenge Time. Increase your level to unlock more difficult challenge, the higher the difficulty the better the rewards. 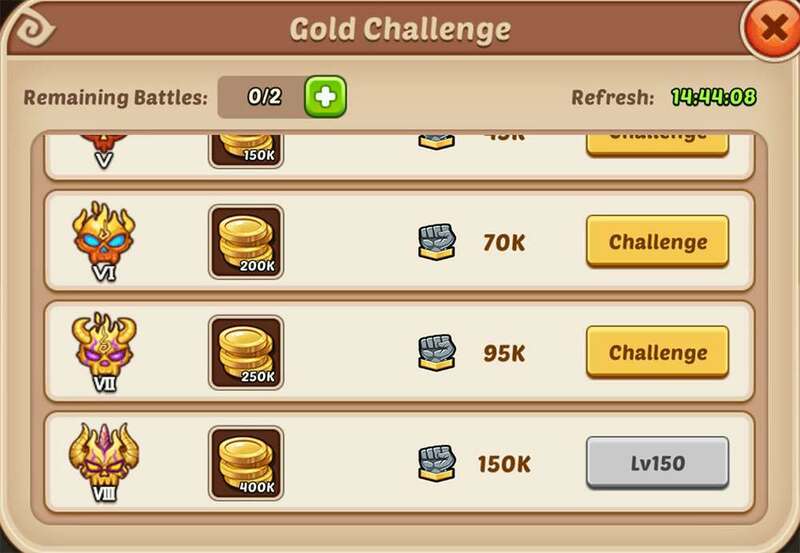 The higher your VIP level the more additional Challenge Times you can bug. Has a chance to get 2X or 3X rewards. 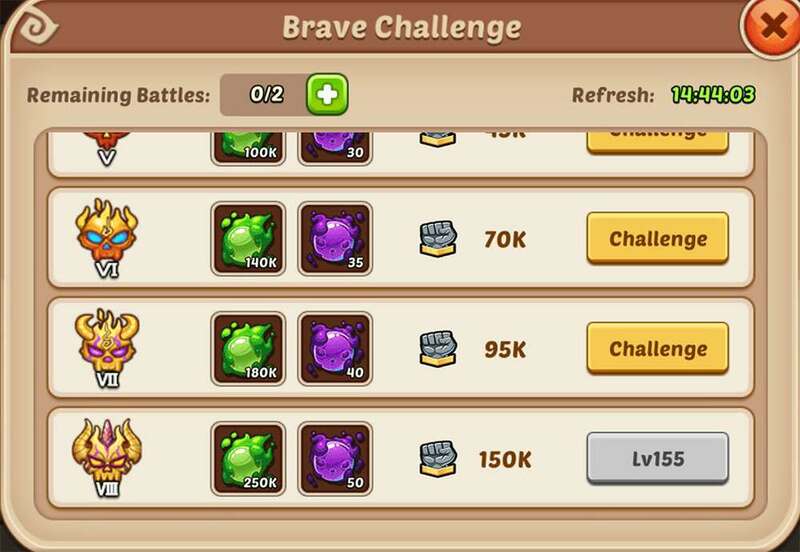 The Brave Challenge unlocks at level 25, win Spirit and Hero Promotion Stones as challenge rewards. The higher your VIP level is the more additional Challenge Times you can buy. 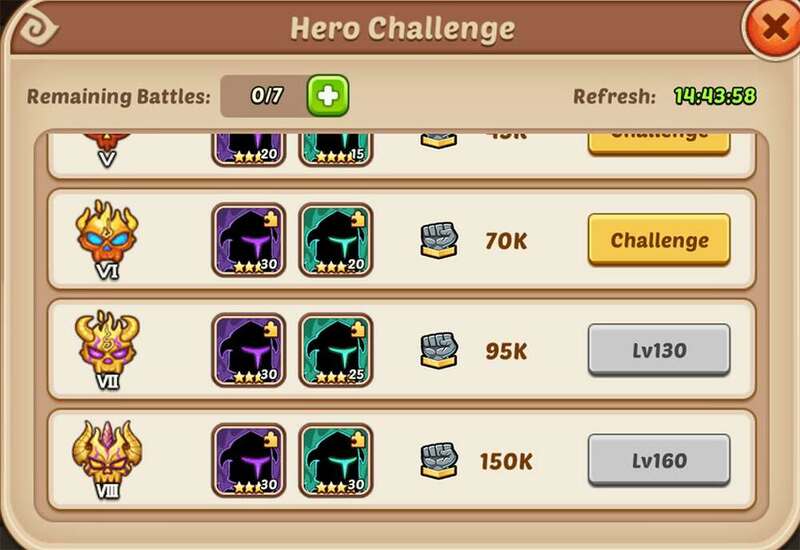 The Hero Challenge unlocks at level 30, win Hero Shards as challenge rewards. Has a chance to get 2X rewards.